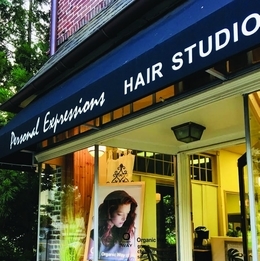 Personal Expressions Hair Studio is a unique salon specializing in managing curls while using natural and organic products. CURLY HAIR—IT’S PRETTY TO LOOK AT, BUT FOR THOSE BORN WITH THESE LUSCIOUS LOCKS, IT CAN BE A NUISANCE. Curls tangle easily and frizz is a daily struggle. Although there’s been a recent explosion of products made for curly hair, without certified stylists who know how to work this texture, getting a good haircut is hard to find; but there is a local salon that specializes in treating curls using all-natural and environmentally friendly products—Personal Expressions Hair Studio. Owner Diane Hazelwood takes pride in knowing she and her staff educate their clients on how to replicate the same style at home. What also sets Personal Expressions apart from others is offering an ammonia-free organic color line. Derived from fair trade ingredients, this line is also packaged in refillable amber bottles. As part of the Sustainable Haddonfield group and a designated certified green business, it’s important to Hazelwood to be a s eco-friendly in as many way s possible. This line of products is free of sulfates, parabens and silicones, and eliminates frizz and dryness. Personal Expressions’ technique when using these products on their clients? Cutting the hair dry—this allows the stylist to see the hair’s natural curl/wave pattern. “You wear your hair dry, not wet. So why are other salons cutting you wet?” Hazelwood says. Organic Way (OWAY) is ammonia-free organic color made from oils, minerals and plants cultivated on fair trade, chemical-free acres of farmland in Italy. Say goodbye to burning scalp and strong odors of traditional hair color—only a natural, relaxed and comfortable experience while using this line. This alternative organic product is for customers having a hard time with unruly hair. Keratin, amino acids and jojoba oils calm frizz and soften texture to create smooth, frizz-free manageable hair that can last up to four months. Personal Expressions is one of the few salons in the area certified in Hotheads—a human hair extension line that adds length, density and fullness. They also carry a topical treatment for thinning hair sufferers. It reduces breakage and promotes hair growth by delivering strength and elasticity to the hair and scalp du ring the anagen (growth) phase. Additionally, a wide variety of human and synthetic hair wigs are available to choose from. 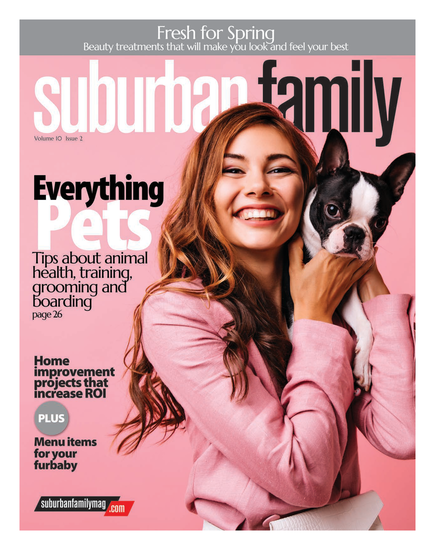 Published (and copyrighted) in Suburban Family Magazine, Volume 9, Issue 6 (August 2018).